As of this year, DB Schenker has been handling the logistics of MERCEDES AMG PETRONAS. 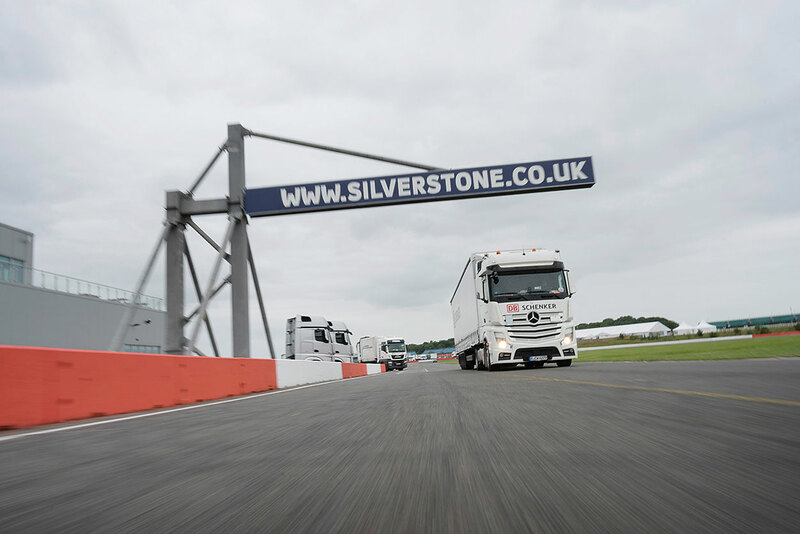 “logistics” witnessed the thrill of the British Grand Prix in Silverstone at first hand. Lewis Hamilton is in a jubilant mood as he walks through the paddock at Silverstone. Just an hour ago he took the checkered flag, claiming top spot on the winner’s podium. Now that the victory ceremony and the interviews are over, he has time to sign his autograph on the baseball cap of a young fan and to exchange pleasantries and high-five the older racing aficionados. Just 25 meters further on, loud dance music blasts from the speakers. The decamping process has begun in the MERCEDES AMG ­PETRONAS pit belonging to the Hamilton team. The atmosphere is relaxed. Screw-wrenches are dropped into toolboxes with a loud clang, almost in time with the beat of the music. The truss constructions, under which the two Silver Arrows are parked, are dismantled within minutes. All that remains are two empty champagne bottles, evidence that the Formula One Grand Prix victory was not only celebrated on the winner’s rostrum but also here in the pit. Lewis Hamilton and his team colleague Nico Rosberg made it a one-two finish, and it doesn’t get much better than that in the racing world. The crew eats on the go, devouring sandwiches and ice lollies while surrounded by tool trolleys, notebooks and tires. There is no time to lose. The race to the next race is on. “We always listen to music when we dismantle. And after a victory like today, it’s even louder than usual,” says Markus Kotkowski, project manager at DB SCHENKER sportsevents. During the days spent at the in­dividual circuits, he acts as the interface between the Formula One team and the logistics experts. Since the start of the current season, he has joined in the excitement at every Grand Prix race. Up to December 31, 2018, the Europe-wide logistics requirements of the World Championship team have been assigned to DB Schenker. The team from DB Schenker that works for the “Project Formula One” consists of 30 employees, ten of which are assigned to the five silver-colored “race trucks.” These transport the racing cars, spare parts, workshop and engineering office as well as the fuel laboratory and relaxation rooms for Lewis Hamilton and Nico Rosberg. All of the vehicles in the fleet are equipped with GPS transmitters so that the customer always knows precisely where his material is at any given time. 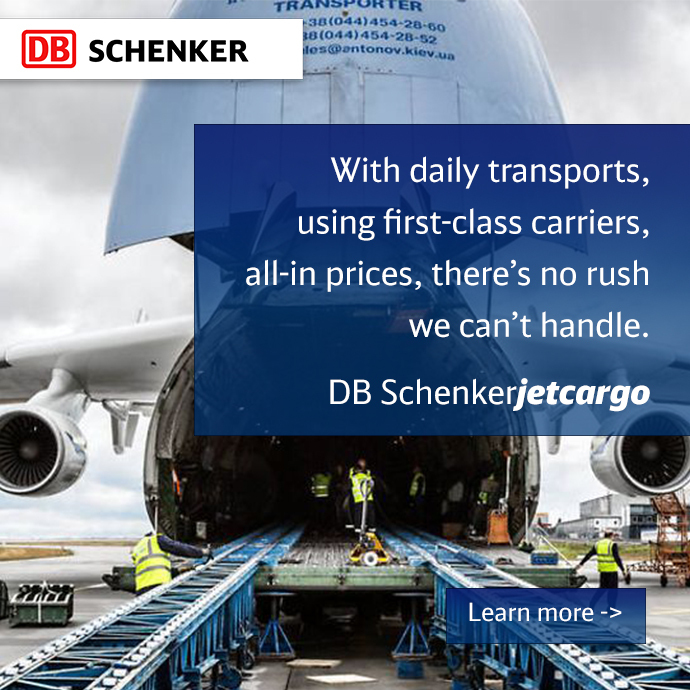 Yet the DB Schenker team does more than just provide transportation. 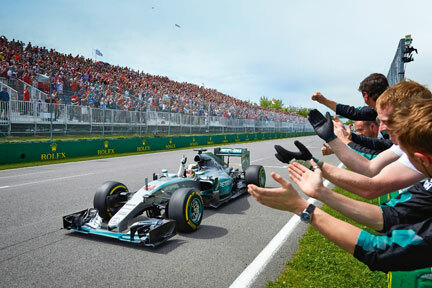 During the days spent at the various race circuits, the members help the ­Formula One team out wherever they can – including providing security services for Nico Rosberg, for example. One of the ten race truck drivers is Christopher Neil Pearson, whom everyone at the Silverstone circuit calls “Chris.” The Welshman was deployed to Germany by the British Army in the 1980s and now lives in Bielefeld with his family. “I’ve actually spent only five weeks at home this year,” says Pearson. “I really enjoy my job, but it’s also very intense.” After the next scheduled race in Hungary, Formula One takes a month-long summer break. Time for Chris to catch his breath. Since the start of the project, he has driven 19,000 kilometers in his truck. The distance between the individual race circuits alone is more than 7,000 kilometers; in addition, there are trips to Brackley, to test runs and to airports, from where the cars and equipment are flown to races overseas. “This is an entirely new challenge for me,” says the 44-year-old. “Every race is different – even for us. In Monaco, for example, the circuit is extremely narrow and consists of the city’s streets. And you never know whether you’ll need 45 minutes or two hours to get from the outskirts to the finish line.” Pearson and his colleagues are required to speak fluent German and English. Communication with the German-British racing team is a decisive factor. Now, just one hour after the team’s victory, Pearson is anything but communicative. One of the trucks is parked in the pit lane. Mechanics have disassembled the two Silver Arrows, each made up of more than 3,000 individual parts, so that they are ready to be transported. The cars need to get to Brackley, only a few miles from the circuit in Silverstone, as quickly as possible for tests and post-race diagnostics. The ramp on the trailer of the truck is ready to load the two Silver Arrows, each weighing 702 kilograms. A team of Mercedes mechanics and DB Schenker staff members push them up into the trailer. ­Although the Mercedes pit is gradually emptying, work con­tinues late into the night. Sören Hell is another key player in the “Mission Formula One” at DB SCHENKERsportsevents. He controls the project from Kelsterbach near Frankfurt. “What makes this project special is that it is not solely a matter of transporting equipment. We set up a real house for every race.” The house in question is the “Motorhome,” a three-story mobile structure. Race after race, it serves as a reception area, where MERCEDES AMG PETRONAS hosts its guests in the paddock and also holds meetings. It also features a canteen kitchen, bar, conference room, offices and a roof-top terrace with a barbecue. The first floor alone is equipped with so many TV sets that visitors can keep an eye on every inch of the circuit. There are always five receivers on board for the respective pay-TV broadcasters. 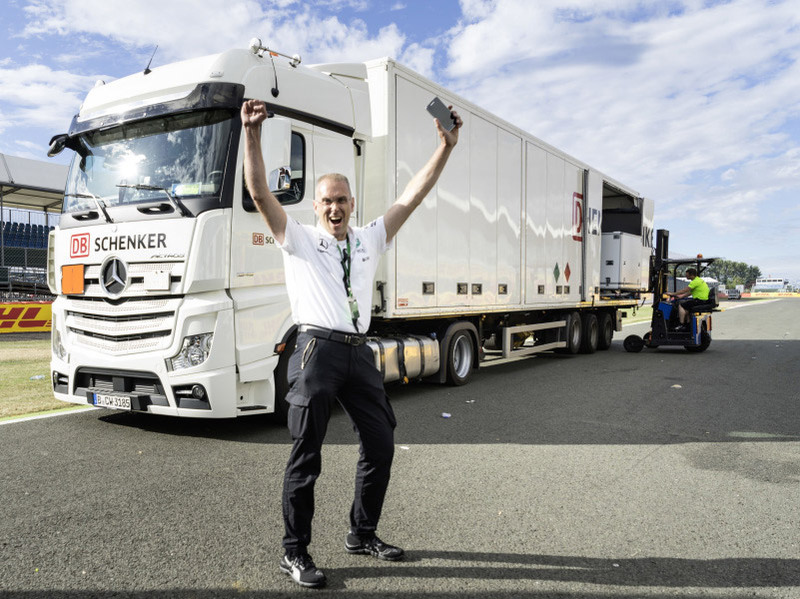 Genrich from the DB Schenker team is responsible for coordinating the construction and dismantling of the motorhome. As a trained carpenter, he is always on site. “Our job is to fix problems before they actually occur. Setting up and taking down the motorhome is a highly complex process as it consists of a total of 28 containers. When placed together, they have to present a perfectly uniform appearance. No scratches and no gaps. “That is why we have to be as careful as possible during construction, transport and packing,” says Genrich. The “Motorhome” team includes 20 employees working on behalf of DB Schenker.